My skin hates the cold! 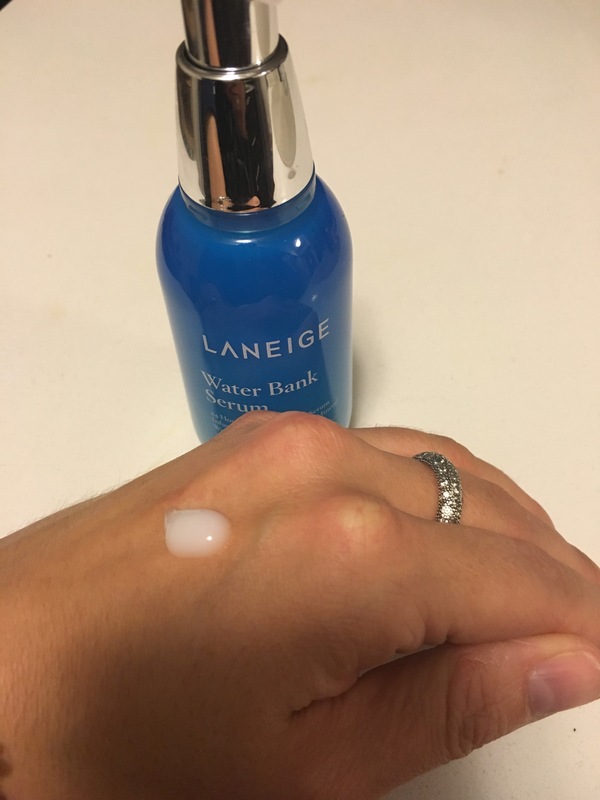 Luckily Laneige has a remedy. I am part of a product review group at Influenster and occasionally I qualify for their VoxBox – which means once in a while I get to test out a pretty great product. 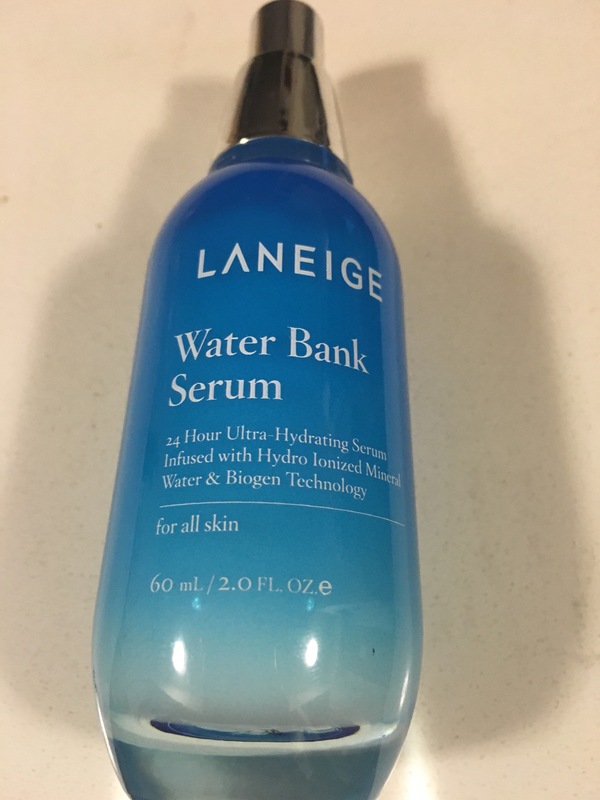 This past month I got sent Laneige Water Bank Serum – available at Sephora. Hydro ionized mineral water delivers six moisture-maximizing minerals—zinc, magnesium, manganese, potassium, calcium, and sodium—deep within where toned, re-texturized skin begins. The luxurious formula delivers 24-hour hydration, protection, and revitalization for skin that looks supple and silky. I am going to forgive Laneige for using some sort of made up term like biogen technology because they don’t test on animals. To me that more than counters out some sort of misleading line about innovation. I love this serum – it really is super moisturizing. It absorbs really quickly and doesn’t leave a greasy feel on your skin. I have been using it daily for about 4 weeks and my skin has been pretty happy. I bike 6k to work and back (12k a day) and it’s uphill in the wind on the way home. This serum has been a great treat to my skin, and I think protects it from the dry wind damage. Usually by this time of year my face is all dry and flaky and I need to hit up the spa and buy a bunch of different creams to keep it from looking like an alligator. The price point isn’t bad considering that a little really does go a long way. If you are in the market for something that will help your skin get through the winter woes this product is worth popping into Sephora to check out. 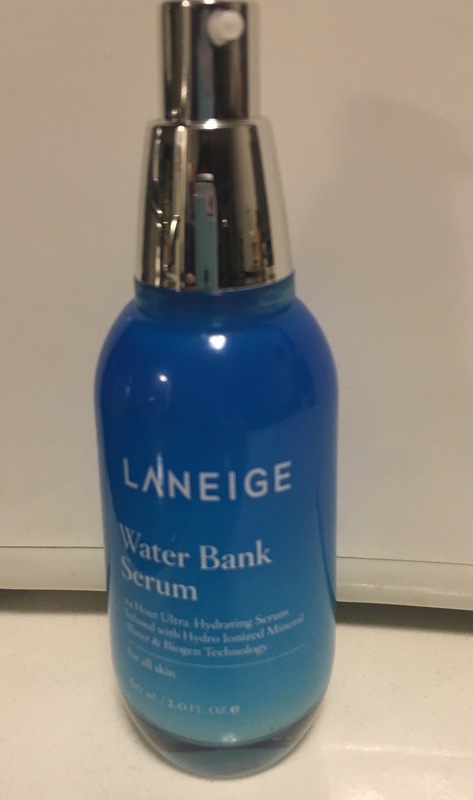 This entry was posted in Beauty and tagged face care, hydrating, Laneige, moisturizer, Sephora, serum, Skin, skin care by maldham. Bookmark the permalink.